Like you, we’re proud to call Portland home. It’s a beautiful city we cherish and want to protect. Our Tigard maid service is especially proud to be the only professional house cleaning service that hundreds of your neighbors and friends in Oregon trust in their homes. Ask around, and you'll find we’ve earned satisfied customers throughout the West Portland, OR area including: Tualatin, Beaverton, Oregon City, West Linn, Hillsboro, Portland, Beavercreek, Canby, Wilsonville, Sherwood, Tigard, Newberg, Garden Home, Lake Oswego, Aloha, Durham and King City. 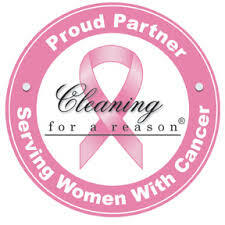 Interested in cleaning services for your home? Read our customer testimonials to learn more about the people and offerings that have made us such a success. Afterwards, give us a call at (503) 624-3935 to inquire about our affordable prices. It’s Free, and there is No Obligation! • We employ the best, most trusted maids in the Portland metropolitan area. Hundreds of customers in Tigard, Portland, and the Willamette Valley trust our staff because of their experiences. We perform thorough background checks, extensively train, professionally uniform, and review feedback with them on a consistent basis. Each house cleaner is, also, bonded and insured. Wondering what this means? It’s our way of protecting you just in case that rare accident happens! We set standards so high because of you. It’s important to all of us that no customer worries about their home while we’re cleaning. In fact, rest assured knowing that we’re busily making your home safer! • No housecleaning company values your time more than we do. We understand why customers have no patience for companies that don’t respect their time. Being late and no shows are NOT a part of the Maid Brigade culture. Our teams understand how valuable your time is, and they pride themselves on cleaning your home when promised. • Green Cleaning for your health. We are a Green Clean Certified® house cleaning service. What this means for you is that our maids use green solutions and processes and high-quality equipment to give your home an incomparable shine without the harmful leftovers resulting from traditional chemicals. It’s, also, beneficial for our environment. Green Clean Certified means eco-friendly green cleaning. To find out more about our green house cleaning services and score insider tips, give us a call today at (503) 624-3935. We’re ready to help! • We prefer you. Our Tigard maid service has a new bonus for our customers: the Preferred Client Program. Priority scheduling, discounts on your first and anniversary cleanings, and one-year price protection are just some of the benefits you’ll get when joining our Preferred Client Program. To learn more, just click the Local Specials link on the left. • We listen. To make sure we’re giving you the best house cleaning available, whether it’s your first cleaning or your 31st cleaning, our teams leave a quality card during every visit. We’re eager to read your feedback! Don’t hesitate to jot down any questions or comments that will help us serve you even better. Being members of the local community ourselves, it’s important to all of us that our customers feel valued and engaged. Feel free to give us a call anytime if you’d like to talk. The consistency. In 6 full years I can only remember one time when I "wished" the vacuuming or dusting had been a little better - and even then it was still very good. I have a two week cleaning schedule, so that is 155 perfect visits out of 156! That is amazing...! I also appreciate the supervisory presence I have seen on cleaning teams over the years, and the excellent service I receive from the office staff. I have often wished that your rating cards included a place to rate the service we receive from the office, so that they could receive the credit they deserve. In all these years I have never once been charged incorrectly; never had to deal with a lost key; and always been treated with courtesy, respect, and flexibility when my schedule required it. That is an important aspect of a good house cleaning service as well. To get a house cleaning quote, check for local specials and more, just call us today or visit the links on this page. Maid Brigade of Tigard was presented the 2007 Maid Brigade Franchise of the Year Award, a superlative that recognizes high standards in consistent and thorough service.